Airport Goldstar Motel is located only a 4-minute drive from Auckland Airport. It offers an outdoor swimming pool, a free 24-hour airport shuttle (pick-up and drop-off only upon arrival and departure) and barbecue facilities. Offering free Wi-Fi and free on-site parking, Best Western BKs Pioneer Motor Lodge is a 7-minute drive from Auckland Airport. The affordable accommodation options include self-contained suites and studios. There is a free airport shuttle. 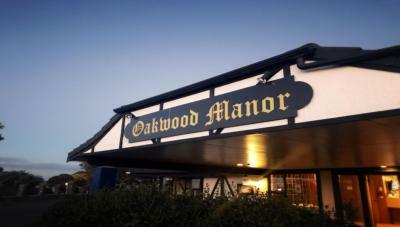 Offering free WiFi and 14 days free parking, Oakwood Manor Auckland Airport Motor Lodge is located 5 minutes' drive from Auckland International Airport. Set on 2 peaceful acres, this lodge offers a free courtesy airport shuttle service. Located approximately 5 minutes' drive from Auckland Airport, Silver Oaks Inn - Silverpoint offers free 24/7 shuttle to and from the airport for arrival and departures on all flights for guests staying at the motel. Offering modern accommodation with free Wi-Fi and LCD TVs with more than 50 satellite channels, Tudor Court Motor Lodge is just 5 minutes' drive from Ascot Hospital and 10 minutes' drive from central Auckland. 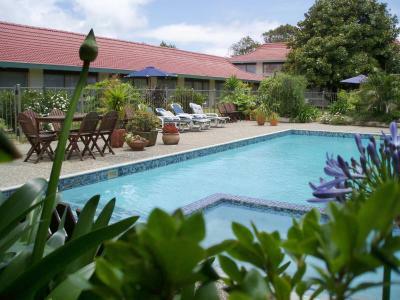 Ocean Inn Motel is just a 10-minute drive from the centre of Auckland. The Ocean Inn offers affordable accommodation close to Stancich Park, a natural bush reserve. Guests enjoy 200MB of free Wi-Fi per stay. Parklane Motor Inn is located 150 metres from Takapuna Beach with its views of Rangitoto. Guests can make use of the sauna, outdoor swimming pool, and mini-gym. Parklane Motor Inn Takapuna Beach offers a variety of comfortably furnished rooms.